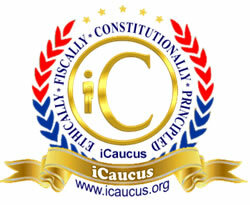 The time has arrived for us to choose which candidates will be granted an iCaucus endorsement for the 2012 elections. The vetting team has assembled a group of outstanding individuals for your consideration. For those of you that may be unfamiliar with the new site, please follow these simple steps. 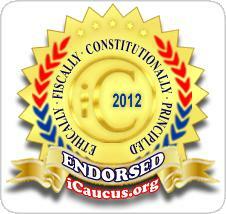 First, go to http://www.icaucus.org. Second, roll over the"Resources" tab at the top of the page and select "State Races 2012" from the drop down menu. Third, click on "California Races" (note - you will need to have logged in, or registered, to complete the third step). It's important for you to remember that you're eligible to vote for ALL the candidates listed below, andNOT just the ones in your district! Our first candidate for consideration is Colonel Pete Stiglich, who is running for Congress in CA's CD 1. Colonel Stiglich's interview is now available for your listening, and voting on his endorsement will close on Thursday, April 27th. A new candidate's interview will become available every day, and will remain available for 5 days. They will open in numerical order of their districts (Rick Tubbs in CD 3 will open tomorrow, 4/23), beginning with Congressional candidates, followed by CA Assembly, then U.S. Senate, and finally local candidates in your area, if any. Currently scheduled endorsement balloting periods are shown below. This is the general plan for presenting candidates to you. However, because we are still being contacted by individuals seeking endorsement, this plan only applies to those candidates that have completed the entire vetting process. Other candidates will be added so be sure to go back and check the California Races pagefrequently! erics@icaucus.org, or by phone at 760-943-8752. Your participation in this endorsement process is vitallyimportant, and critical to electing candidates of character that will represent us in the manner intended by the Founding Fathers when they crafted the Constitution. On behalf of all the iCaucus team members who have been working to bring these choices to you, literally since the day after the polls closed following the 2010 elections, I want to extend our gratitude to all of you and express our thanks for the interest you're taking in the future of the United States of America. P.S. Don't forget to keep checking the races page for newly added candidates. Thanks!